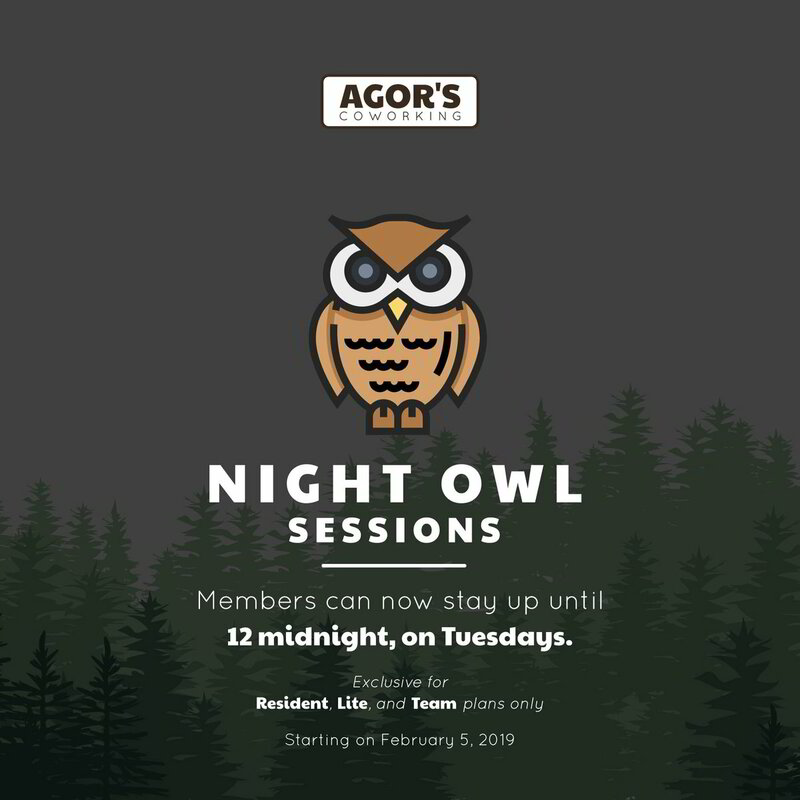 Residents, Team, and Lite members can now stay until 12 midnight on Tuesdays. Our last batch of coffee stops at 9pm. Happy coworking! Agor's is a 70’s-industrial inspired coworking community in Project 8 Quezon city, that caters to the needs of the rising community of digital professionals and startups through coworking.